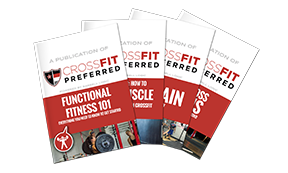 CrossFit Preferred | CFP In House Open Competition – The Open is Here! CFP In House Open Competition – The Open is Here! Last year, we created our own CrossFit Preferred Open, which consists of an in-house team competition that utilizes the weekly Open workouts. Athletes who participate in the CFP Open, will have the opportunity to do the workout during their normal CrossFit class time on Friday, or to join us Friday night for our Friday Night Lights event from 4 PM to 7 PM. This year, we will have some new changes to our CFP in-house competition. For the 2019 CFP Open, you are not required to sign up on the CrossFit Games website in order to participate in our CFP Open. If you still would like to register for the official CrossFit Games Open, to see how you stack up with other athletes around the world, you are more than welcome to sign up for it, but it is not mandatory. This sign up can be done at games.crossfit.com. Another big change to this year’s CFP Open is the introduction of the “one and done” rule. For our in-house scoring, the only score that will count towards your CFP team score is your first attempt at the Open workout. This first score will be logged into Wodify under the Friday Classes ONLY and that is what we will be using for our in-house leaderboard. Note, this doesn’t prevent anybody from being able to redo the workout (although we are discouraging it for most people), but we will only be taking the first score for our in-house scoring. There are a few main reasons why we are introducing the “one and done” rule to this year’s competition. To add even more excitement to Friday’s workouts and our Friday Night Lights event. With so many people redoing workouts in the past, Fridays were becoming more of a test run than anything else. This year, we want Friday to be the main event. Allow you to have your weekends back for the 5 weeks of the Open. Too many people spent their entire weekends refreshing the leaderboard, planning their retest strategy, and making the Open a way bigger deal than it needed to be. Most of us are not going to the CrossFit Games, and moving up 100 or 1000 spots on the leaderboard is not going to make or break our lives. “One and done” can help bring back some of the fun and excitement for why we love doing the Open in the first place. Keep a great class experience for our Saturday and Monday classes. Open retests have become more and more of a distraction to our class experience over the years, and we want to continue to make the class experience the best possible experience we can. This year, Open tests and retests after Friday will be limited to Open gym hours only. We will have Open Gym Hours at 7:30am and 3:00pm during the Open! With that being said, if you want to reattempt any of the Open workouts, you probably will still be able to do so, but will need to get a coaches’ approval. If you beat your score on your 2nd attempt, it won’t count towards your CFP Open score, but it can be entered on the CrossFit Games website as your primary score. Any tests or retests that take place outside of Friday will have to be done during open gym hours only. There will be no tests or retests allowed during class times. The goal of this year’s Open is to bring even more fun and excitement to our in-house team competition, especially our Friday Night Lights event, and remove some of the stress that comes with obsessing over retesting the workouts. We will also be adding some fun new elements to the team competition, including a weekly team challenge, in addition to the top 3 in each division, and team spirit award we had last year. These weekly challenges will factor into the winning team for each week, and for the entire Open. To sign up for the CFP Open, just add your name and t-shirt/tank size to the sign up sheet on the whiteboard. The cost for the CFP Open is $30, and it includes your team shirt, which we will order and provide by week 1 of the Open. The deadline for signing up for the CFP Open is Wednesday, February 13th. We will be breaking our coaches up into 5 different teams and choosing teams on Wednesday, February 13th, so you will know what team you are on that day. Earn points for your Open placing each week. If you don’t submit a score that week, you will not contribute any points to your team score for that week. Earn points by being the top 3 in each division for that week. Earn points for being the team spirit award winner for that week.